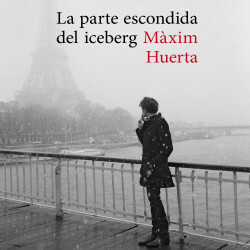 Following the success of Una tienda en París, La noche soñada and No me dejes, and after a few months dedicated body and soul to his writing, Màxim Huerta, an author as generous as he is brave, who puts everything into his work, offers his readers an even purer novel. Once again, Paris features but it is more than a setting, atmosphere, reference or even a state of mind, it is a compelling presence that serves as contrast and inspiration for the narrator. In these pages, Màxim tells a powerful story of love and heartbreak, with oneself and other people, first experienced on the streets of Paris and relived through them. It is an intense, intimate journey that will quite literally tug on the heartstrings of each of its readers. Sperling & Kupfer (Italy), Thiele Verlag (Germany), Marginesy (Poland).